One of the best of the “Great Unknowns” Lee Mitchell never made a bad disc. Most of his career has been spent in the service of the church, but during a 12 year spell from the mid-60s he cut some wonderful secular material that ought to be in every self respecting soul fans library. 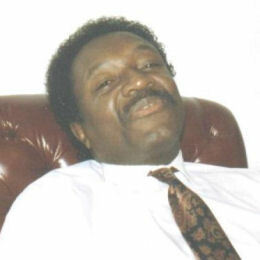 He was born on 12 July 1939 in North Carolina where he sang in local gospel groups like the Rainbow Four and Junior Gospel Singers. He moved to Boston in 1958 joining the Power Lights before becoming a member of the group that became central to his life, the Bibletones, replacing Bill Moss who formed his own group the Celestials. The Bibletones toured widely through the US in the early 60s, but after a stop in Texas, he moved to California at the end of 1964 and decided to try his hand at secular recording. He joined veteran Los Angeles musical entrepreneur J R Fulbright who had been running his own R & B labels Echo/Elko since the early 50s, and who became his manger organising a series of gigs in all parts of the West Coast and through Texas. Lee’s first 45 appeared on what seems to have been a completely new Fulbright label and Forgive This Fool is a self-penned ballad of no little merit. The recording was probably cut in Portland and the arrangement is pretty rudimentary but the best thing about the disc is Lee’s voice – a high baritone with some hoarse phrasing and other gospel flourishes that really do raise the song. Fulbright landed him a contract with Houston’s Don Robey with whom he’d done business before but despite several recording sessions only one 45 ever appeared, but it too had a touch of class about it. 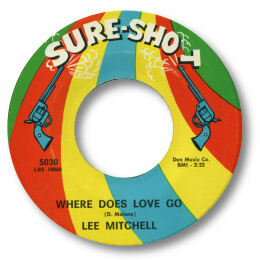 Where Does Love Go is a mournful bluesy tune, full of pathos. The arrangement is a typically imaginative Joe Scott winner and Lee’s tortured delivery is again right on the spot with an entertaining false ending too. But that cut is as nothing compared to the brilliance of his next release – How Can You Be So Cold. This is a quite superb minor keyed deep blues, to many fans one of the greatest slow soul songs ever cut. Over a pumping piano and tasteful organ fills Lee screams his anguish and frustration. Such a simple construction, but how difficult to pull off successfully like this. Another false ending too – can you imagine Lee testifying to this on stage? This may well have been cut in Portland as well. At the end of his 5 year contract with Robey in the early 70s Lee was in Birmingham, AL working for Neil Hemphill with the likes of Sam Dees, Frederick Knight, CL Blast and Roscoe Robinson. His business partner was Jack Frost who placed the excellent You And You Alone with Musicor in New York. 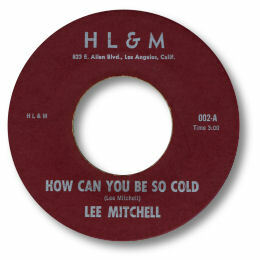 This classic piece of southern soul, with its arpeggio guitar and piano is another Lee Mitchell success. What a fine singer this guy is. 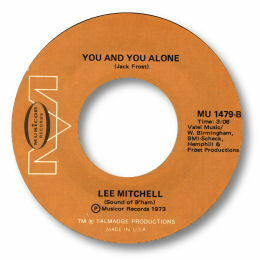 The strong “Is It You Or Is It I” came out on Roll in 1975 and was followed by Lee’s biggest seller “So Called Friends” a couple of years later. When this upfront piece entered the Cashbox charts, Hemphill arranged for Lee to spend a week in the studio cutting an LP that Lee himself has said was “excellent” but sadly it has not seen the light of day to date. We live in hope. This disappointment turned Lee away from R & B and back to gospel music and the Bibletones back in Boston. A 45 on Hersey “ I Come A Long Way” has become a deep soul favourite, and he has also released a couple of full albums, “Thank God For Love” and “Testifying”. These days Lee still plays in Boston, mostly gospel but he has done a one-off secular gig with the excellent Eli “Paper Boy” Reed band which gives us hope that he may do more of this sort of thing. The best news is that his voice remains in really good shape. Almost all the facts (but none of the opinions) in this piece come from an unpublished interview with Lee conducted in 1993 by my friend Matt Starr. I’m very grateful to him for allowing me to use the material and for his help with this article. Note ~ "You And You Alone" can be found on the Kent UK CD "When A Man Cries" (CDKEND 176). Modesty forbids me to recommend that you buy it.